Night Of Sin can build on his recent easy success as he turns out again in the Smarkets £50 Risk Free On Racing Handicap Chase at Exeter. Nick Williams’ runner really was presented with something of a penalty kick as he lined up in a three-runner affair at Taunton, with his task eased by the departure of his main market rival. Night Of Sin duly hosed up by 41 lengths, although the form of that success should obviously not be taken literally, while his previous effort on quick ground at Hereford can also be discounted. Those two outings represent his only chase starts, but Night Of Sin has at least put in two decent rounds of jumping and eased 3lb by the handicapper to a mark of 119, this Sinndar gelding could still have plenty to give. Lil Rockerfeller is undoubtedly the star name on the card at the Devon venue as he makes his third start over fences in the smarkets.com Novices’ Chase. The seven-year-old was well tested on his fencing bow, eventually triumphing by a length and a half after a round of jumping that could have done to have been a bit sharper. Neil King then went on to Cheltenham where Lil Rockerfeller was lucky to survive his leap at the third, with his subsequent jumping similarly underwhelming. However, his class told up the hill and he came home four lengths to the good, although it is easy to see why King gives him another low-key engagement here. Gonnabegood can repeat his victory of last year in the smarkets Betting Exchange Handicap Hurdle. He is 13lb higher in the ratings this time around, but the fact he has won two of his subsequent six starts - all with the minimum of fuss - suggests he should not be discounted. 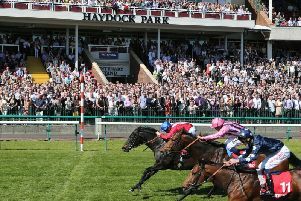 Mantovani failed to strike in his two starts on the Flat for James Fanshawe, but he can go close on his initial outing for Harry Fry in the getsbk.com The Super-Price Sportsbook Juvenile Hurdle. A half-brother to useful stayer Soldier In Action, jumps trips should be well within the compass of this 50,000 guineas purchase. 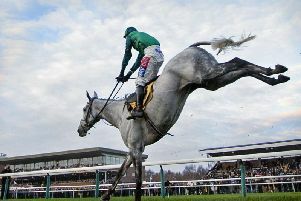 Notwhatiam can atone for his fall last time out in Uttoxeter’s Steve Gresty AKA The Trowl Memorial Handicap Hurdle. Dan Skelton’s runner was still travelling well enough when he crashed out with two hurdles to jump and he has been given a good chunk of time to get over that outing at the end of October. Previously a winner over this course and distance, Notwhatiam can get back on the right track now. Young Turk was another who came a cropper last time out, but he can return to centre stage in the Ladbrokes Troytown Handicap Chase, the feature event at Navan. He looked likely to make the frame in a Cork Grade Three event on that occasion only to fall at the last and he looks to have a nice, light weight for this heat. EXETER: 12.50 Gonnabegood, 1.20 Vango De Vaige, 1.50 Monbeg Gold, 2.20 Lil Rockerfeller, 2.50 NIGHT OF SIN (NAP), 3.20 Mantovani, 3.50 Get Wishing. NAVAN: 12.00 Defi Bleu, 12.30 Gypsy Island, 1.00 First Approach, 1.30 Warnaq, 2.00 Roaring Bull, 2.30 Young Turk, 3.00 Pass The Ball, 3.30 Emily Moon. UTTOXETER: 1.10 Silent Encore, 1.40 Coded Message, 2.10 Lough Derg Farmer, 2.40 Notwhatiam, 3.10 Finnegan’s Garden, 3.40 Drill Baby Drill.